When most people are looking into home insulation, they just have to think about heating and cooling. But this isn’t true for coastal areas like Sullivan’s Island where there’s a lot of humidity and moisture in the air. If too much moisture invades your house, it can cause wood to warp as well as a variety of other problems. That’s just one big reason why Sea Island Builders always uses closed cell insulation for Sullivan’s Island homes on the first floor. If you want to protect hardwood floors and seal out moisture, there’s no better way to do it. Proper insulation for Sullivan's Island homes keeps wood floors safe from moisture. What Is Closed Cell Insulation? Traditional building insulation is composed of fiberglass, but this material only reduces heat flow by about 35 percent. Closed cell insulation is a type of spray foam insulation – an alternative to fiberglass. Not only is foam far better at reducing heat flow, it also has better sound attenuation. There are two types of spray foam – open cell and closed cell. Open cell foam works well as a barrier against air and sound, but it’s sponge-like in appearance and isn’t recommended for use outdoors. Closed cell insulation, in comparison, is far denser and as such acts as a fantastic barrier against both air and water vapor as well as sound. A professional home builder can install closed cell insulation under your house’s first floor system to significantly reduce heat flow. 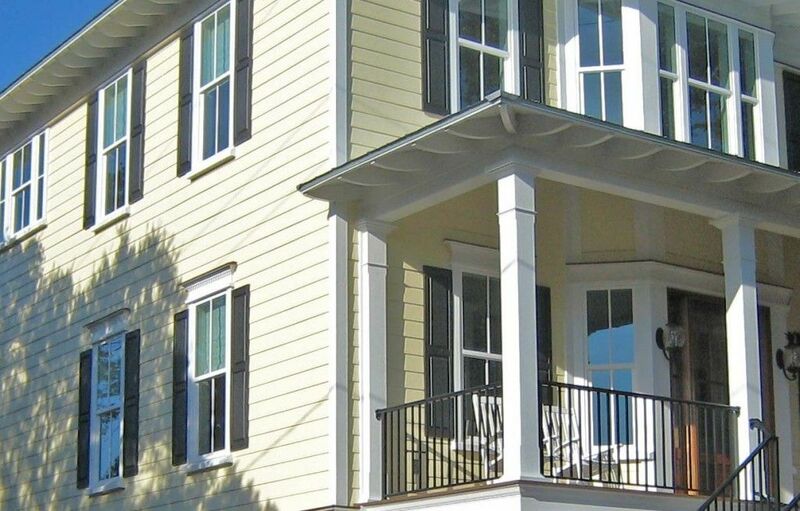 Why Use Closed Cell Insulation for Sullivan’s Island Homes? We use closed cell insulation for Sullivan’s Island homes for a number of reasons. It is much better at sealing out moisture and reducing heat flow than fiberglass. Whereas fiberglass insulation causes a heat flow reduction of 35 percent (as we mentioned earlier), closed cell insulation starts at an 88.6 percent reduction for an inch of insulation and can reduce heat flow by as much as 97.9 percent when it gets up to 6 inches. Closed cell foam adds to your home’s structural integrity by “tying” your roof and walls together and increasing the strength and rigidity of your walls and roof deck. Some low VOX foam products now are actually more green than fiberglass, so this choice benefits the environment. Why closed cell instead of open cell? Sea Island Builders doesn’t use open cell foam on our projects because research has shown that it’s less efficient than closed cell foam since its insulative values go down over time. Knowing that, there’s really no comparison between the two materials. Although Sea Island Builders always uses closed cell insulation for Sullivan’s Island homes in our first floor system, there’s even more you can do if you truly want to ensure your house is as protected as possible. For maximum insulation, we recommend doing a full envelope in foam. What does that mean? That closed cell insulation is used in the attic, floor, and all walls. This creates what we call an envelope of protection around the interior of your home. A full envelop is the best way to not only protect your home, but lower your energy bills by as much as 40 percent as well. Sea Island Builders now also uses Spider Foam, an alternative form of fiber glass insulation that is sprayed to fill in any gaps in exterior walls. Spider Foam is slightly cheaper than closed cell insulation and actually offers better insulation per square inch. This product is formaldehyde-free and mold-resistant, so it promotes better indoor air quality and energy efficiency. 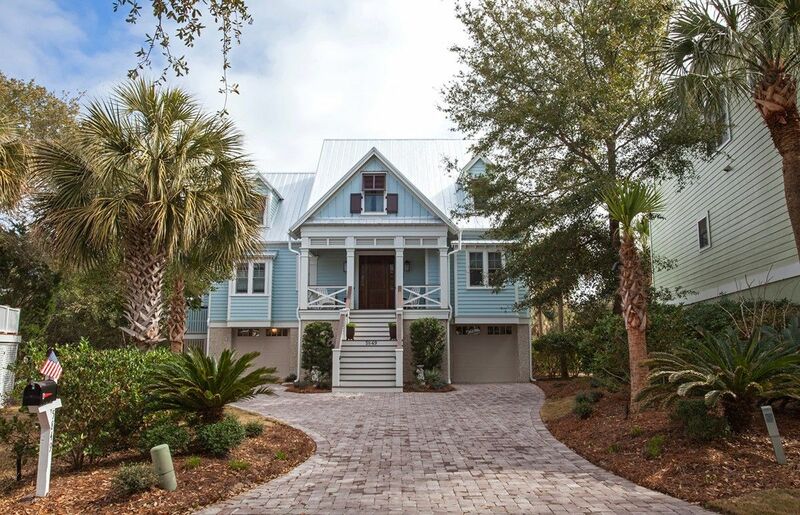 If you decide to have Sea Island Builders do a full envelope on your Sullivan’s Island home, make sure you also work with us to design and size your HVAC system so you get one that will work best with your insulation. If you do not size your system correctly, you will find excessive moisture levels in your home that can increase your chance of mildew, decrease your indoor air quality, and leave you and your family less comfortable. The Sea Island Builders process focuses on taking the planning one step at a time so that nothing is overlooked. Our detail-oriented method allows us to help clients realize their dreams without any misgivings and with minimal mistakes along the way. Sea Island Builders is happy to help clients analyze their insulation choices and go over the impact on the bottom line so that they can make the decision that is best for them.